Your life story, the story you tell others “and yourself” about your childhood and your life experiences, is not entirely accurate. It is essentially a creative explanation of “what happened” and is only loosely based on the “facts”. 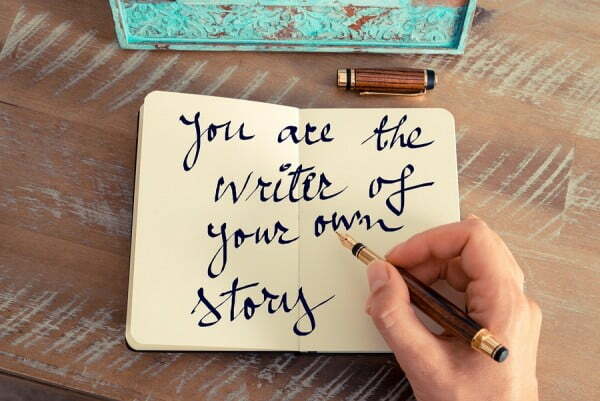 And your “story” is certainly not an accurate description of who you “really are”. The power of story, and its impact on your life, cannot be overestimated. In fact, if you insist on believing your life story is true, there is a very high likelihood that you will never achieve your dreams, desires, or the life that you would like to live The Info Blog. I know, this is an outrageous statement to make, but it “is” true–your life “story” is almost certainly shooting you in the foot. Here’s why this is true–and how two important spiritual insights can help you re-write your life “story” in a way that will better support the authentic or “real” you. To begin with, the primary reason your life “story” is not accurate is because you are human. That means you are a natural storyteller. It is human nature to take the “facts” or experiences of our life and turn those facts into a “story”. However, the stories we create to talk “about” our life experiences are never about the facts. They are always our subjective, or personal “interpretation” as to “why” those experiences happened and what they meant to us. For example, we may have grown up in a home in which our caregivers were busy making a living. Maybe they didn’t have the ability to give us the love and attention we needed. But regardless of why, because they tended to neglect us, we grew up feeling invisible and unloved. Now we begin to create our “story”. We begin to incorporate our opinions, our assumptions, and our explanations about the “facts”. We begin to interpret the “why” of what happened to us, and give “meaning” to those experiences. Our “life-story” might sound something like this…….. I grew up in a home in which nobody had time for me. I spent hours alone in my room entertaining my self. It was hard making friends because nobody really understood how hard it was for me. I remember growing up very lonely. Nobody really understood me. I was kind of a nerd I guess…..not many social skills. My whole life I’ve been a loner…..a person on the sidelines just looking in at life. I’ve never been comfortable around other people. I’m not a loveable person so it’s always been easier to avoid relationships. I watch a lot of television I’m not very smart. I guess I’m just a loner destined to be alone”. We all have a “story”, but unfortunately our life-stories are usually negative…why we are unable to achieve our dreams….why we are inadequate….why we are powerless to be truly happy and successful. Our “life-story” becomes a handy place to store an every-growing list of reasons why we believe we can’t possibly achieve our dreams, desires, and goals. Over time, our negative “story” begins to impact almost every aspect of our life. Because we have convinced ourselves that our life-story is true, who we “really are” tends to get distorted and lost inside the details of our negative “story”. ourselves…..to assign new self-empowering meanings and interpretations to the events and experiences in our life so we can compose a life “story” that helps us create the life we have been dreaming about living. To create this new self-empowering “life-story” for ourselves means we will need to embrace two important spiritual insights. Re-writing our “life-story”, and re-interpreting the experiences of our life, will require us to search for the learning’s and wisdom contained in “all” of our life experiences. Because every experience we have ever had, positive or negative, has led directly to the strengths, insights, and wisdom that we will need to discover and begin living into our life purpose…the reason we were created. Without “all” of those experiences, we would not be the person we are today. In other words, our life experiences were simply the containers for the learning’s that became our wisdom. Discovering our life purpose, more than any other goal in life, is the best way to bring true passion, happiness, success, and joy into our life. True happiness tends to be an elusive goal until we discover our life purpose and begin authentically living life as the person we were meant to be. But the ability to discover and successfully live into our life purpose would not be possible without the combined learning’s, insights, and wisdom that came from “every” one of our life experiences. When we fully embrace these two simple spiritual realities, and incorporate them into our life story, our “story” will begin to reflect the “life-story” of who we “really are”….the unique strengths, wisdom, courage, character, and dreams of our authentic self. When we learn to embrace the story of who we “really are”, our future has the potential to become what ever we can dream about. Stated simply, our life purpose will unfold most clearly when both the urgings of our heart and the wisdom of our life experiences encounter the needs of the world. When that happens, our story will be not only be a story worth telling…it will be the story of a truly happy and successful life…the story of an authentic life worth living.